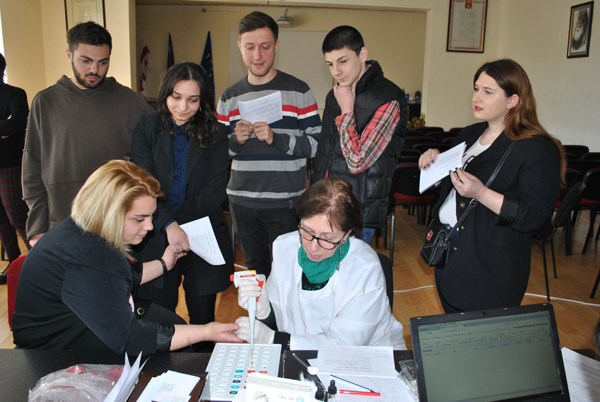 Yesterday, March 27, 2019, Guram Tavartkiladze Tbilisi Teaching University students, academic staff and administration representatives within the scope of the action "Give Blood, Save Life" have made a modest contribution to this very necessary case. The action is organized by the Association of Student Organizations of Georgia. Participation in similar human actions is planned to be in the future.